This story is submitted by Gudrun Stenoien , written in 2000. Stenoien family children included Gudrun, Rebecca, Joseph, Borghild, Valborg, Roy and Melford. Need some help with this one. From childhood Gilbert’s parents exerted a strong Christian influence, and he, together with his siblings, was the beneficiary of his parents’ teaching and prayers. Like his father, Gilbert loved to read. He reached for any and all education available to him whether it be secular or Christian. While growing up, the Stenoien young folks sought out the young men and women from the other families in the community. Besides, and in conjunction with church and school functions, they planned social activities. A ten mile walk wasn’t unusual either. Not surprisingly, some lasting friendships developed. For Gilbert this was no exception. 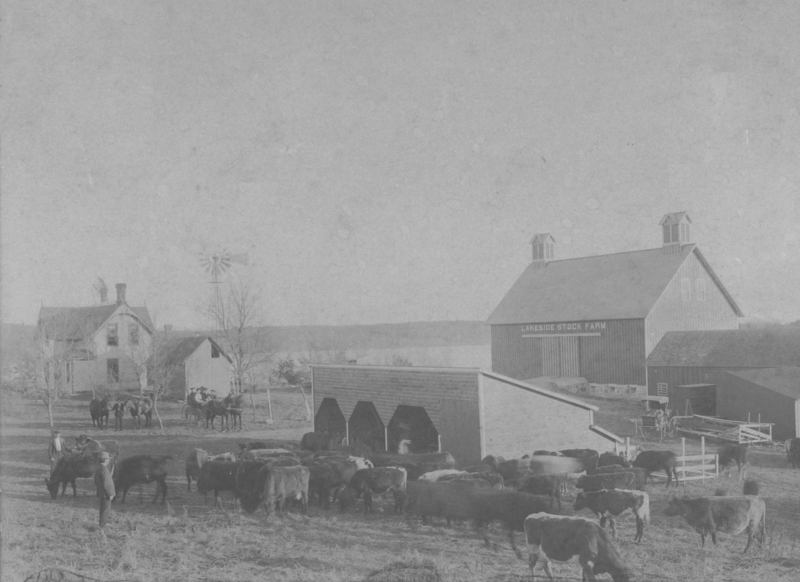 The Erick Nelson family lived on a farm outside of Osakis, possibly ten miles from the Stenoien place. They were a large family too, thirteen in all–two boys, eleven girls. Early in their acquaintance, Gilbert knew that Emma, one of the youngest was his choice for his life partner. One token of Gilbert’s love for Emma was a gold bracelet. It was engraved with her initials ‘E N’ inside an oval design. This bracelet had a small dent in it. During a wagon ride one summer evening Emma lost her bracelet! It was found but with this lasting bruise, sustained when the wagon wheel rolled over it. Some facts about Gilbert’s early spiritual journey come from two articles printed in the Norwegian Synodical paper, Broderbaandet, one pertaining to his graduation from Bible School and Seminary, and the other to his ordination into the Christian ministry. Having been brought up in a Christian home where God’s Word was loved and honored, Gilbert understood early the truths of Christianity, and at age sixteen witnessed to his faith. A bit later he realized the liberating truth of God’s atonement in his behalf, this coming as a “great and convincing light”. Early in youth he sensed a call to serve the Lord in Christian ministry. He tells of a struggle with materialism, which tended for a time to distract from his focus, but he couldn’t get away from God’s call to serve Him. Gilbert was graduated from the Bible School on June 15, 1914. It is interesting to note that of the several classmates who spoke at the graduation “festival”, Gilbert alone gave a talk in English–his topic, “The Conqueror,” in which he referred to Paul’s exhortation in 1 Corinthians 15 that such victory can only be had by Christ’s grace and empowering. Friends and relatives encouraged Gilbert to be a missionary to China, however, his inclination was to serve on the home front, building up Christians in their faith through teaching and preaching the Word. For Gilbert, the next year, 1915, was highlighted by two very significant events which would affect and direct his entire future; namely, his marriage and his ordination. 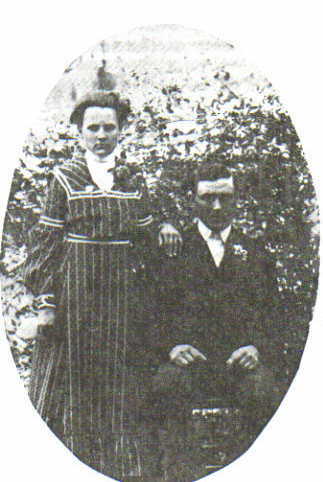 On June 9th, Gilbert married Emma Nelson to whom he had been engaged for ten years. Gilbert was now twenty eight years of age and Emma twenty-seven. There are no records, memorabilia, or stories pertinent to this important occasion. Most likely the wedding took place at Osakis, MN, the parental home of both. The same summer, on July 1st, Gilbert was ordained into the Lutheran Brethren ministry. The ordination was held on a Sunday afternoon in the Lyceum Theater in Fergus Falls. This unusual setting was used because it was the only building large enough to accommodate the crowd assembled for the L. B. convention which coincided with the ordination. Following his ordination, Gilbert accepted a call to Ebenezer Lutheran Free Church in Braddock, N. D., where he and his bride established their first home. A year later they moved to Superior, WI. Gilbert served as pastor at Zoar Lutheran Brethren Church in Superior, WI and Bethel Lutheran Brethren Church in Aitken, MN from 1916 to 1919. Such a split parish was possible because there were trains twice daily between the cities, and, the railroad granted passes to pastors allowing them to travel without cost. On July 4, 1916, Gilbert and Emma became the proud parents of their first child, a son, whom they named Joseph Oliver, the initials of his paternal grandparents, Johanna and Ole. On March 9, 1918, a second child was born–a daughter, and they named her Gudrun Elisabeth, her initials corresponding with those of her parents. Now it was a family of four. As the family grew, whenever a birthday child was being honored, Gilbert would quite dramatically tell of the circumstances attending the occasion of his or her birth. In the spring of 1919 the family moved from Superior, WI, to Fergus Falls, MN, where Gilbert would serve as pastor of two parishes, Bethel Lutheran Brethren Church in Fergus Falls, and a small congregation in rural Underwood. The Fergus parsonage was situated on a street bordering the west side of Lake Alice with a view of the lake. The first part of June 1919 was unseasonably warm and continued unbearably hot and humid. Two tornadoes struck the heart of the city on Sunday afternoon, June 22nd, a disaster referred to as the “Great Fergus Falls Cyclone.” The storm took a terrible toll of lives and property. According to a report in the Star Tribune, June 18, 1994, seventy five years later: “At least 56 people were killed, more than 200 injured, and over 150 homes and most of the churches in town destroyed.” It is said one could walk across Lake Alice on the wreckage the tornado had tossed into it. Gilbert was in Minneapolis when he heard about the cyclone that had struck his hometown, Fergus Falls. With no communication lines open, he was unable to learn how Emma and the children had fared, and the earliest train wasn’t until the next day–an agonizingly long wait! Upon arriving in Fergus, he went directly to the site where their home should have been, and there on the foundation stood Emma, safe and unharmed! His family hadn’t been at home when the storm hit. 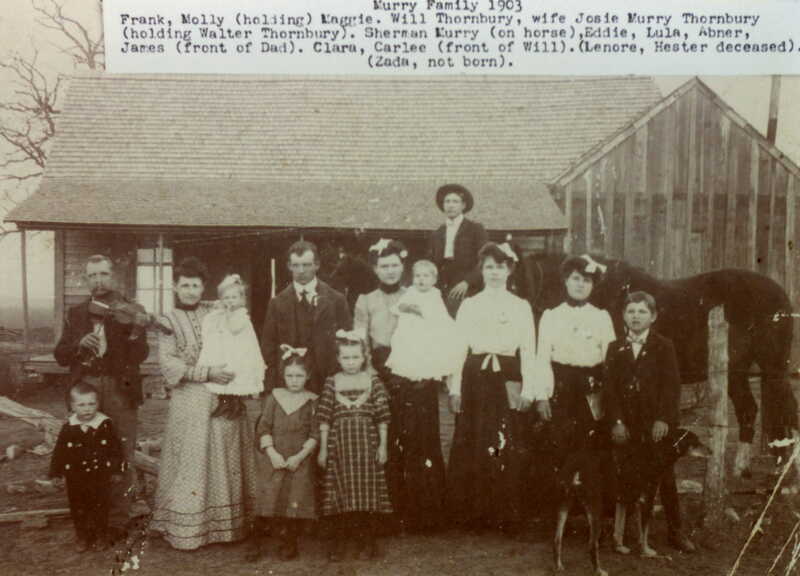 Gilbert learned later that because of the oppressive heat that Sunday, Emma’s sister’s family, the Ole Aune’s, had come for Emma (who was five months pregnant) and the two little ones, and brought them to their farm in Underwood for needed respite. 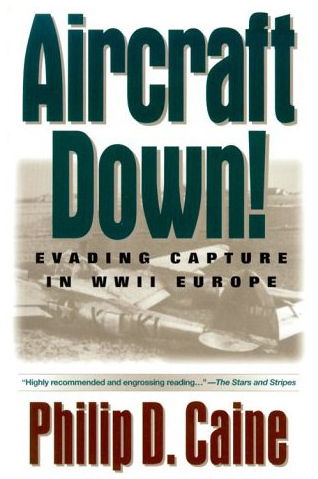 Thus it was that their lives were spared. But they were homeless; everything they owned had been swept into Lake Alice! The family then moved to a small house in the country near Underwood. The family likely moved back to Fergus Falls that fall, because it was in that city on October 15th, 1919, that a second daughter was born. At her baptism she was given the name Borghild Eleanora, the initials those of Emma’s parents. While still in Fergus Falls, a year and a half after Borghild’s birth, a sister was born. She was named Rebecca Salome , so unlike the Scandinavian names given the daughters before her. The date of her birth is May 10, 1921. In 1922 Gilbert accepted a call primarily to serve Ebenezer Lutheran Church in Mayville, ND, extending his services as pastor to a small congregation in Buxton, ND, and sometimes to nearby Portland. In the Church of the Lutheran Brethren Golden Anniversary Bulletin, Gilbert is said to have also served St. Paul’s Lutheran Church in Mooreton, ND, during the years 1920-1925. This overlapping must indicate he commuted on a somewhat regular schedule between Fergus Falls and Mooreton before moving to Mayville. 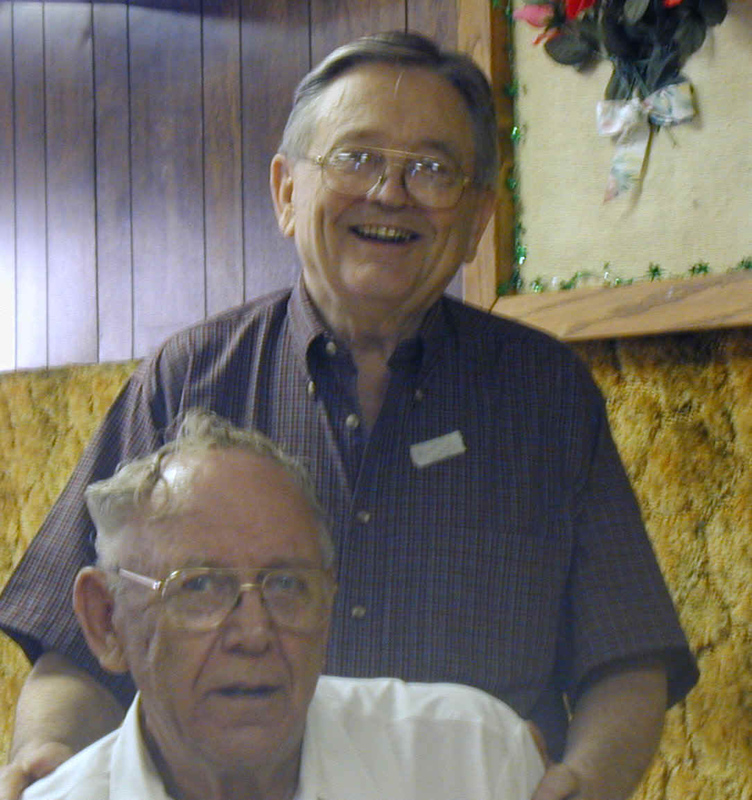 Two babies were born during this Mayville pastorate–first a girl, then a boy. The first was born March 2nd, 1923. This fourth and last daughter was named Valborg Johanna (Johanna being Grandma Stenoien’s name.) The second child to be born here in Mayville was Roy Gilbert, arriving June 2nd, 1925. He was the second son born to Gilbert and Emma, and number six in the family. Like his brother, Joe, and his sister Valborg, his hair was red, but darker. Before winter set in in 1925 the family was on the move again. 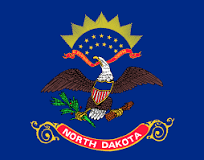 Gilbert had responded positively to a pastoral call from Grand Forks, ND. Here he would serve Bethel Lutheran Church and also teach at the Lutheran Brethren Bible School and Seminary. (The Bible School and Seminary h During the Grand Forks period there was a transition from the use of Norwegian to English in the Bible School and Seminary. Roy was a baby when the family came to Grand Forks to live. He was two years old when on July 31, 1927 another son was born into the family and named Melford Luther. (That the initials are those of Martin Luther was not by chance.) Now there were seven. The girls outnumbered the boys by one. Gilbert was a neat dresser himself, and liked the same for his wife. One day they’d been to the shops and Emma came home with a trim-looking lovely brown dress of silk faille, matching her soft brown hair. Gilbert and Emma liked company. 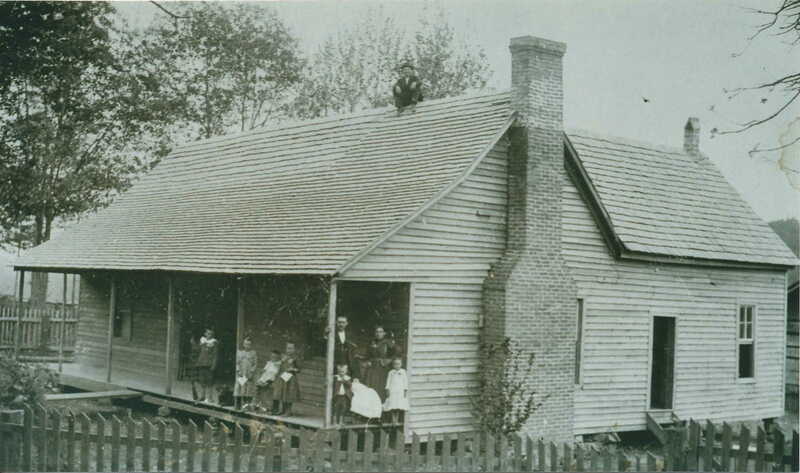 Often there were guests for meals, and the parsonage served as a “home away from home” for students, and even professors, from the Bible School. When guests were musically gifted, there would be piano playing and singing. Time also had to allow for visits to the other relatives in the area. 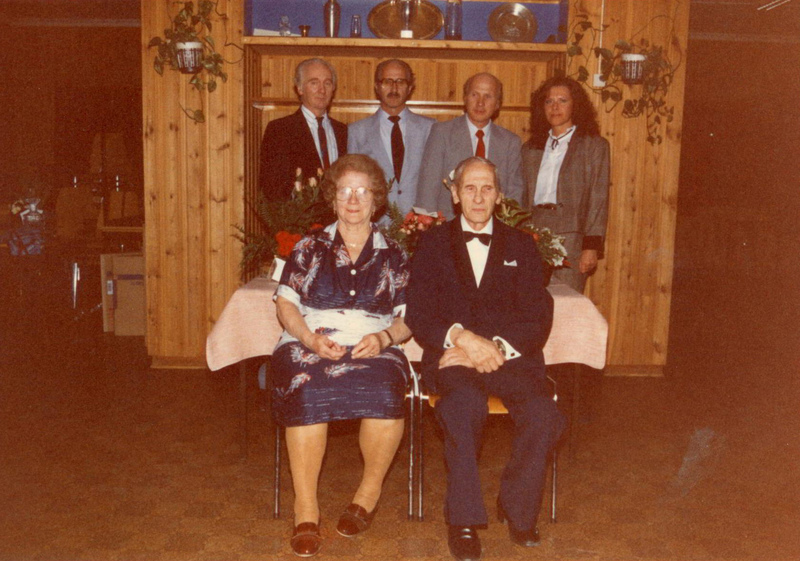 There were the Klukkens, Gilbert’s sister, Petra’s family. They lived a couple miles across a field from Gilbert’s father. Petra seemed to be able to feed everyone so effortlessly. There were plentiful servings of meat, and vegetables, especially corn-on-the-cob. Petra was always cheerful. It was a sad day in the summer of 1928 when Gilbert returned home from a visit to his Grand Forks bank with news that whatever dollars he and Emma had managed to eke out and put away as savings was all gone! But they were no strangers to tough times. They knew, from the standpoint of material goods, what it meant to be poor, and what dependence upon God meant. When in 1928 a call came to serve a country parish in Cooperstown, ND, Gilbert accepted. He was influenced in part by the fact that on a farm he could at least provide food for his growing family. He envisioned a garden and some livestock. Cooperstown is located southwest of Grand Forks in the Sheyenne River valley. The farm to which Gilbert and Emma came was about five miles from town. This farm place was referred to as the “Vatne dalen,” so called after a notably eccentric parson who’d lived here in this valley many years ago. So, in November Gilbert, Emma and family left Grand Forks with its modern conveniences to live in a most primitive setting in the country. With winter nearing, the house was “banked” by first encircling the outside base of the building with tarpaper. Then a manure and straw mixture was dumped against the wall. The banking would be removed in the spring. Shortly after moving to Cooperstown, someone gave Gilbert and Emma four milk cows–it is uncertain whether or not these were a loan. No matter, the family would have milk. Gilbert and Joe put hay into the barn. Someone provided the mower and horses. In the spring, church members/farmers put in about 80 acres of grain, and again there was help to harvest it. A big garden was planted in the spring. It’s fortunate Gilbert grew up on a farm. He knew about crops and gardens, feeding livestock and milking cows. Emma, too, spent her childhood and early youth in the country and was familiar with the tasks farmwomen had to do, and she also knew how to stretch limited resources. The responsibilities of both required great diversity and capabilities. They wore many “hats.” First and foremost was parenting, secondly, the role of pastor and pastor’s wife, and then, in this setting, farmer and farmer’s wife, and for Gilbert even janitor for the church. Both had to have had great courage to face what lay ahead for them. When Pastor and Mrs. Stenoien came to Cooperstown there were seven children, Melford the youngest was 15 months. Two more boys were born during the stay on the farm. Gordon Ellsworth was born on the fourth of July 1929. The other, Vernon Sylvester, was born on March 13, 1931. The farm home had no running water. The toilet was the out-house up the hill. There was a pump over the sink in the kitchen which provided the water for all household needs. By keeping the stove reservoir filled, there was a constant supply of warm water. The children especially appreciated this for a Saturday night bath in the wash tub brought into the kitchen. There was no electricity. Gilbert carried kerosene lanterns to the barn for early morning and evening milking times. For indoor illumination, there were several gas lamps. Gilbert was adept at caring for the lamps–very particular and faithful in keeping them filled with gas and/or kerosene, wicks trimmed and chimneys clean. This maximized the light they could give. Without electricity the wash machine and wringer were “motorized” by hand. Gilbert could work the wash machine stick with one hand while simultaneously turning the handle for the wringer with the other! He usually made himself available on Monday morning to help Emma set up the machine and tubs in the kitchen. With the church several country-road-miles away, and he being needed by the farm and family, Gilbert had to make do with an “office” at home. His study consisted of a small oak desk, a swivel chair, a typewriter and bookshelves in the corner of the living room. There was no way for this space to be shut off from family activity. Undoubtedly, for his study time, Gilbert took advantage of the hours some of the children were in school. In this setting the pastor/father studied. He was very conscientious in preparing his sermons. His outlines were written in his minute, precise handwriting on small pieces of paper. He had a tendency, out of need, to be conservative in any and all aspects of living. Gilbert was quite good at typing, using the two-finger method. This living room office gave birth to the Lutheran Brethren’s Synodical English periodical, Faith and Fellowship. As the Synod grew, more of its members were unfamiliar with the Norwegian language. Gilbert saw a vital need for an English Synodical communication that would provide for the younger generation what the Broderbaandet was providing for its older readers. Gilbert became the first Editor. It is interesting to note in these first issues a section devoted to children. Gilbert introduced the Concordia Hymnal to the Lutheran Brethren worship. Emma would be church organist when necessary, if and when she could be free to do so. 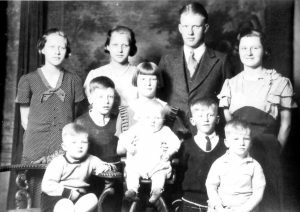 In the spring of 1932, the family moved to Mayville again. Now Gilbert would serve the Mayville parish while continuing as pastor of the Cooperstown congregation. This meant driving to Cooperstown on alternate weekends. His car at this time was a Graham Paige. The Mayville home was on the outskirts of town. Gilbert didn’t quite get away from farming. There was a small barn on the property making it possible to have a cow and some chickens, and of course there was a big garden. The Stenoien family had just moved to Mayville that spring of 1932, when Gilbert had to begin planning for a major church event. It is said that Gilbert was very active and prominent on Synodical Boards and committees. He and the Mayville congregation invited the Synod’s 32nd Annual Convention to meet in Mayville in June! The highlight for the family in 1933 was the arrival of the tenth child. Daniel Milton was born in the Mayville Union Hospital May 30, 1933. Winters were harsh in North Dakota. Travel twice a month to Cooperstown was difficult, even dangerous for Gilbert. Once, in a whiteout he had an encounter with a snowplow resulting in injury to his car, but he was able to continue his journey home. The cars of that era left much to be desired by way of safety and protection from the elements: thin tires, no heaters (at least not in his), windows that couldn’t quite keep out the wind-driven snow, dirt or rain. There was no way to de-ice or defrost the windows. In the spring of 1934 on a return trip from a weekend of pastoral services in Cooperstown, heavy rains, ungraveled and muddy roads caused Gilbert to end up in the ditch. Long exposure to the cold rain while awaiting help, contributed to his contracting an upper respiratory problem–a cold with cough that wouldn’t go away. This developed into double pneumonia for which there was no serum. During his illness Gilbert was cared for at home. 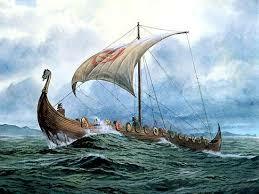 His sister, Thilda, came to help with his care, and two registered nurses were employed to cover the nights. Gilbert fought to live. Uppermost must have been the thought of leaving Emma and ten children. It is said he expressed to Emma a desire to live to tell of the exciting truths God had revealed to him during this illness. He had passed through a spiritual crisis into victory. Many prayed for Gilbert’s recovery. The elders of the church came and anointed him. After an acute illness of only three weeks, on June 6, 1934, at age 47, Gilbert died, leaving a grieving family and congregation, and many others to whom he had endeared himself. The funeral crowd filled to capacity the small church and overflowed on to the sidewalk. Only a fraction could be accommodated in the sanctuary. Interment was in the Mayville cemetery. On his grave’s headstone is inscribed the words, “He lifted me.” Only heaven will reveal the many he influenced for Christ through his teaching, preaching, and exemplary life. We know he will reap in joy.